If you’ve checked out any of my recent posts you’ve noticed a trend, obsession, addiction (whatever you’d like to call it! haha!) to cut files. 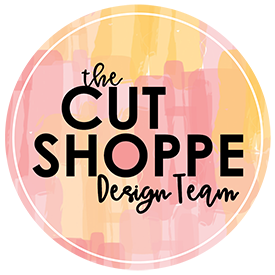 Especially cut files from The Cut Shoppe. This blog post is no exception. When I saw the most recent sketch from Atlantic Hearts Sketch Challenge I knew immediately what I wanted to do! I cut the Very Squarey Cut File to use as a stencil and then smeared Bo Bunny Silver Glitter Paste over the stencil on black cardstock. 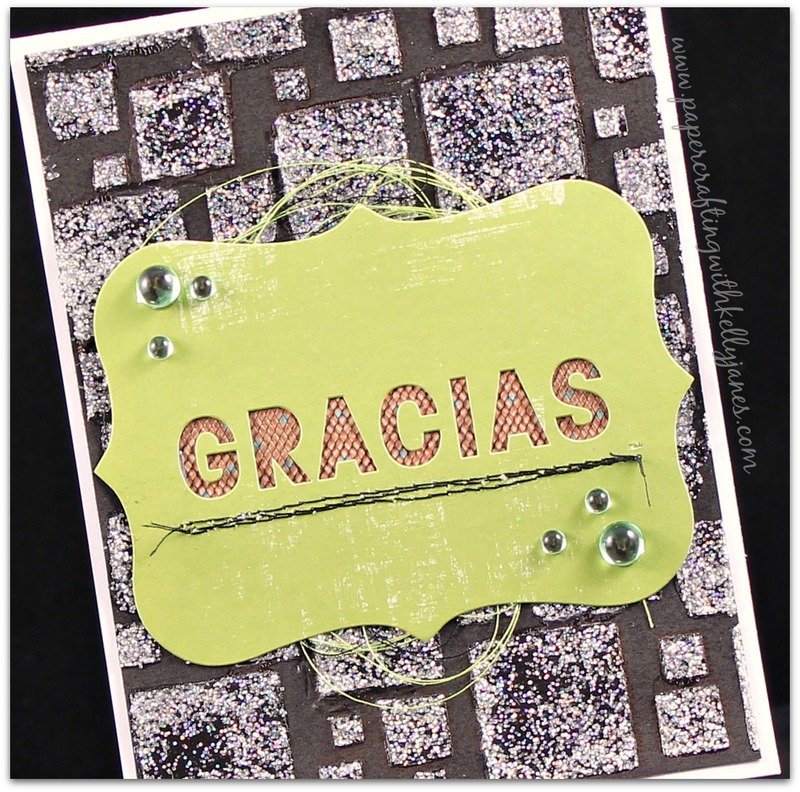 I’ve had a few packages of the Me & My Big Ideas-Card In An Instant packs in my stash for quite some time so I grabbed the green “Gracias” piece. I added a little stitching and then a backed the sentiment with retired CTMH Blossom B&T Paper and a little black tulle. I wanted the embellishments to be minimal so I didn’t take away from the sparkly background. Before adhering the sentiment piece to the black cardstock I loosely placed black & neon green thread and added a few strips of CTMH Thin 3D Foam Tape. I mounted the black cardstock onto a white cardstock base and then added a few CTMH green epoxy gems. 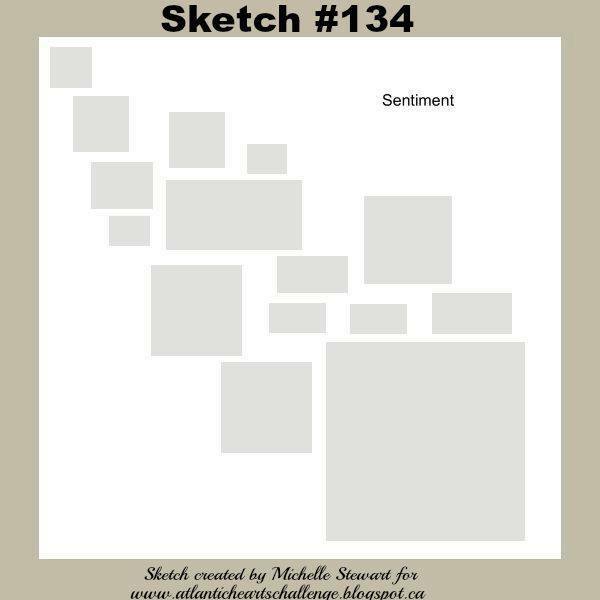 Make sure you head over to AHSC to check out the other design team members projects using sketch #134 & to get your project entered today!